At its developer conference today, the company notes it chose Puerto Rico because of its high level of mobile engagement. 77 percent of its users access the internet primarily through mobile devices, and the country features both American and Latin American carriers. It also makes an optimal testing field because user’s devices vary broadly from entry-level to premium – a good trial for Ara’s buy-what-you-need approach to smartphones. 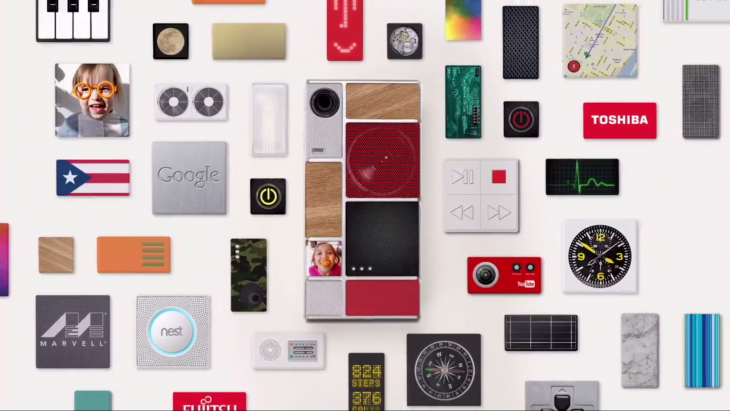 As for the device itself, Google has updated the hardware slightly in its Spiral 2 prototype. The main change is that the magnets holding the pieces together are now located in the frame rather than the phone itself – this should allow modules to make more adequate use of their real estate. Additionally, Spiral 2 introduced an RF bus, which allows an antenna in one module to interact with radios in different modules. Google intends to have moved onto a ‘Spiral 3’ phase, which will bring the phone closer to parity with standard smartphone power and battery life, before the market pilot. The company detailed the new Ara Marketplace, which is what it sounds like; a place to check out modules are available for purchase. You’ll get estimated costs for your device based on what modules you choose. The Marketplace is part of the Configurator app, which provides information about your device based on different configurations, such estimated battery life and performance information. If you’re the indecisive type, there’s a wizard app of sorts dubbed the Simple Phone Maker to help you build a device based on your preferences. On the retail front, Google described different packaging options for the phone. Of course, you’ll be able to purchase the device fully configured or as different modules, but more interestingly, there will be ‘ready-to-go’ kits for different types of users or scenarios. It’s unclear which options will be available for the pilot program, however. Developers looking to work on software and hardware for the phone can also download version 0.2 of the Module Developer Kit today. Google is partnering with Open Mobile and Claro for the pilot launch. When asked about the price of the device, the company only noted that it will be variable based on modules you get.